It surprises me that there are so few martial arts musicals. I guess the genre is still in its infancy. 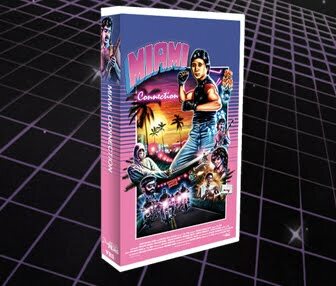 Nevertheless, if you would like to check out, Miami Connection, a film that has set the standards for all other martial arts musicals, you can this Saturday at the Michigan theater. It's at 10pm and tickets are $10 or $8 for students. Don't forget to check out the Action Show before hand at Vault of Midnight.